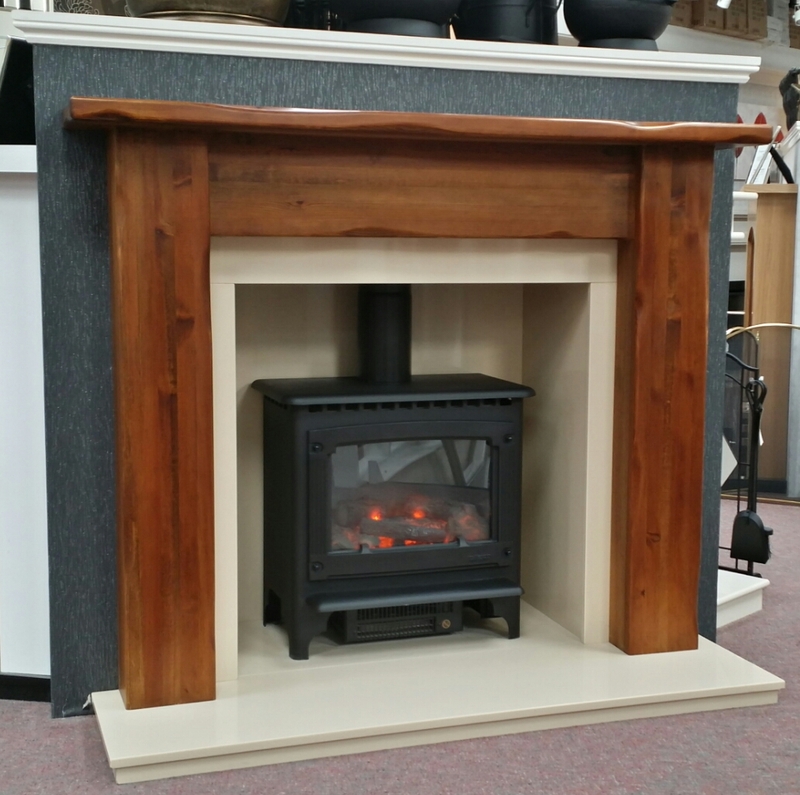 Unbeatable price – The Carenza fireplace package consists of a natural laminated Pine Wood surround professionally finished in a traditional distressed medium Oak stain. 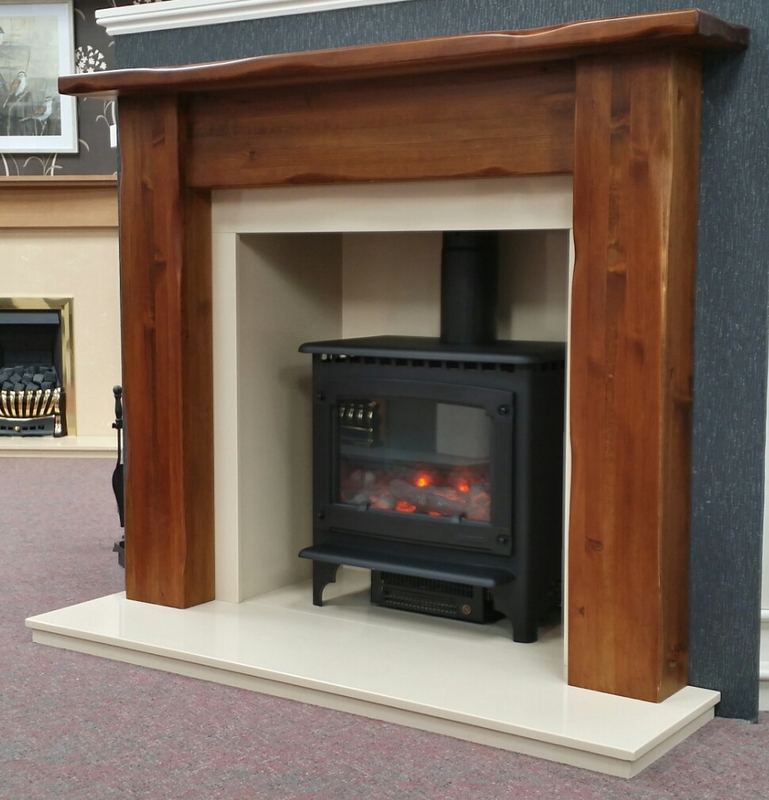 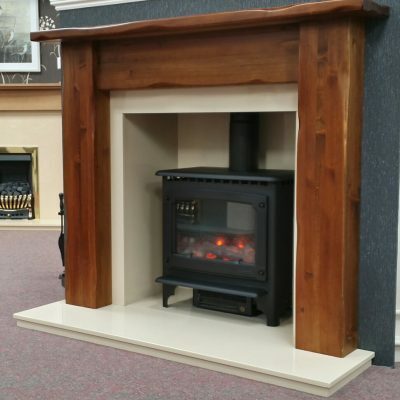 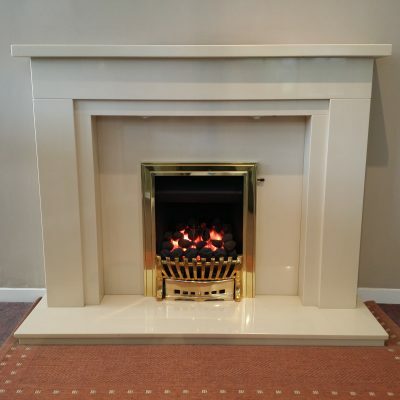 Complemented with the beautiful Carmela Beige Marble front profiled hearth, ,matching inner base, Internal Marble chamber set and finished three piece panel slip set. 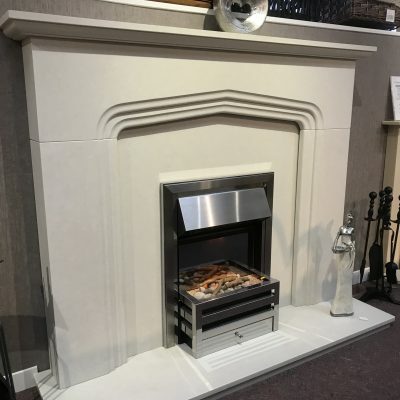 All matching Marble. 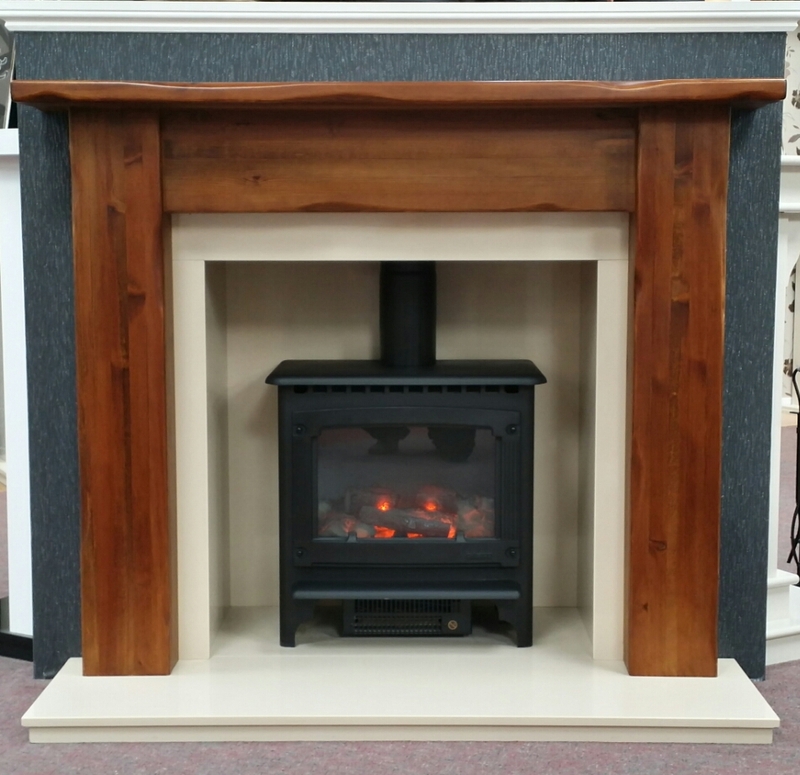 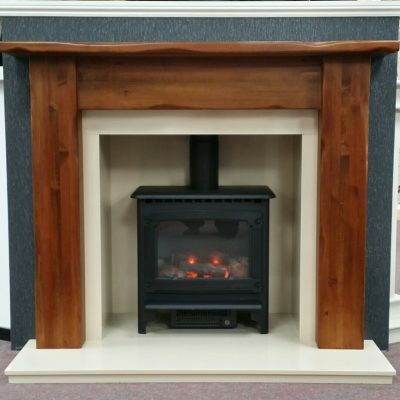 This fireplace is suitable only for Gas and Electric fire products and has been designed for a free standing stove as the picture illustrates. 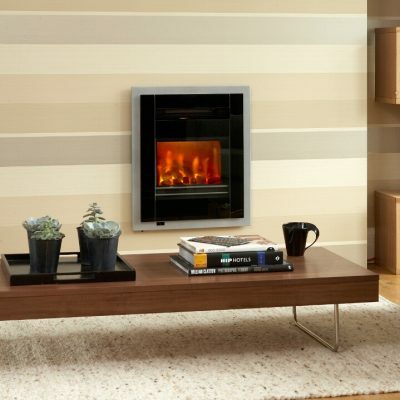 Carenza fireplace was a showroom display and is now available at a clearance price. Please call the showroom if you require more information on this 1 only offer.